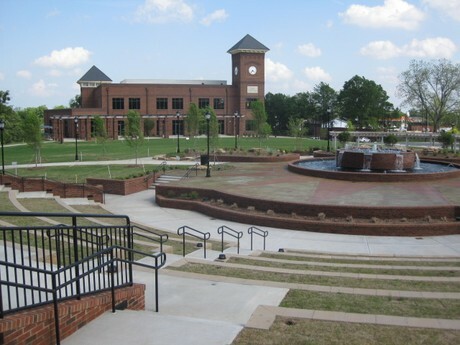 Greer South Carolina is one of the fastest growing areas in the nation and the fastest growing city in South Carolina. Greer is located in Greenville County, the Upstate of South Carolina. Greer started basically as a trading post then a center for agriculture and textiles. Present day Greer is diversified into many different industries. Real Estate in and around Greer is booming with a lot of new home development in the open lands surrounding the city at very reasonable prices. People moving to Greenville often find the affordability of Greer motivation to purchase a home here. Situated between Atlanta and Charlotte Greer is positioned to continue exponential growth. Greer has recently commissioned to build and revitalize its city hall and downtown area. The downtown has many historic buildings which are going thru renovations and being made into neat coffee shops, restaurants and businesses. The downtown area has started a huge revitalization of it's sidewalks and streetscape and large chain hotels are moving in. The time to buy is now for Greer real estate.